One of my New Years Resolutions was to digital detox which I was hoping would lead to reading more. Well, April is almost over and I haven't even read a single book. I started about 3 but as usual, I get distracted and the book starts collecting dust bunnies. 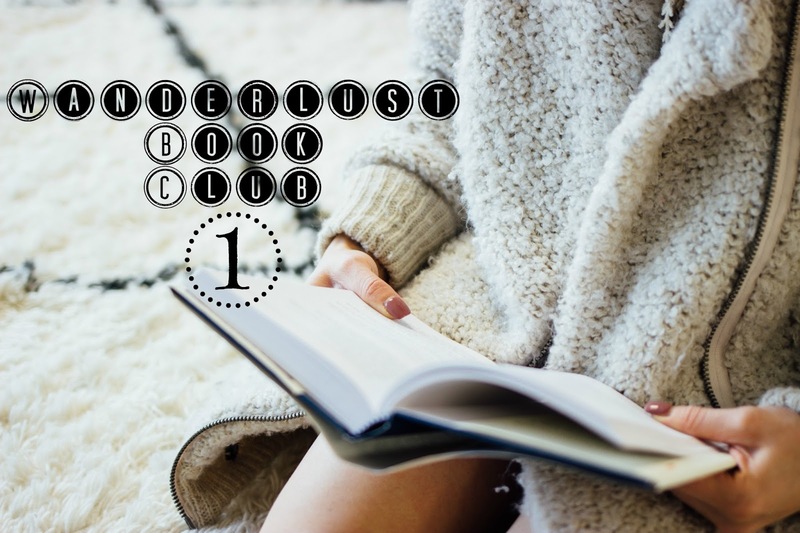 So, in an attempt to hold myself accountable and also in hopes that you'll join in, I decided to start a book club! While I would like for it to be related to travel and creativity, I'm open to suggestions and to a variety of genres. For the very first book club selection, I thought I would introduce the actual book that gave me the final push to quit my corporate job and pursue 'happiness', if you will. The book is called The Crossroads of Should and Must: Find and Follow Your Passion by Elle Luna. Big thanks goes to my friend Justine for suggesting this read almost a year ago! Coincidentally she's doing the author of this book, Elle Luna's 100 Days of Happiness challenge on her Instagram so make sure you're check it out! For those of you that have read this book, you already know how artistic and whimsical this book is. The pages are organized yet unexpected; colors, doodles and inspirational quotes. It's thought-provoking, at times hard-hitting, confronting things that you generally try to avoid - like, "what do you have, a job, career or a calling?". When I read that, I had a career. I was entering year 6 of the hospitality industry, a career I had built for myself. I think this is the first time I share this but I started as a Reservations Agent and climbed my way up to Director of Sales & Marketing (on my way having positions like, Sales Coordinator, Front Office Manager, etc). I was proud of that accomplishment as before hospitality, I was known to not stay in one industry for long. But when I read this, I knew a 'career' just wasn't enough to keep me happy. I was in a toxic work environment at that time, commuting 3-5 hours a day, just miserable. Another hard-hitting point was about 'how much money is enough money?'. I was very blessed with hard-working parents so my spending is...a far cry from being frugal. Elle draws a circle for "Must-Have Money" and then a circle for "Nice-To-Have Money". Wow, so true. If I focused on the Must-Have Money, not only could I save more but I can focus on what's truly important. Have you read this book? Have you even heard of it? Will you add it to your list? Let me know your thoughts! For me, The Crossroads of Should and Must changed my life drastically, to the point of quitting my job and pursuing my passion - travel, photography and writing. So naturally, I give it a 10/10 and recommend a read! OMG YESSS! I recently started reading again. I am almost done with my book but will need something new to read so this is the perfect choice! I need to read more too!! I've devoured a few books and continue to move slowly through a few others.